Panicos Demetriades is Professor of Financial Economics at the University of Leicester and author of “A Diary of the Euro Crisis in Cyprus”, published by Palgrave Macmillan. During 2012-14 he served as Governor of the Central Bank of Cyprus and member of the Governing Council of the European Central Bank. 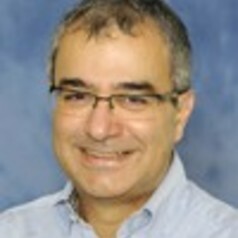 Professor Demetriades holds a PhD in Economics from the University of Cambridge and BA and MA degress, also in Economics, from the University of Essex. His academic career spans a period of 25 years, the last twelve of which have been with the University of Leicester. He has published extensively, primarily in the area of finance and growth but also in other areas of economics. Full details of his writings and publications can be found on his IDEAS page: http://ideas.repec.org/e/pde5.html#articles. In 2011 Professor Demetriades was elected Fellow of the Academy of Social Sciences (FAcSS).